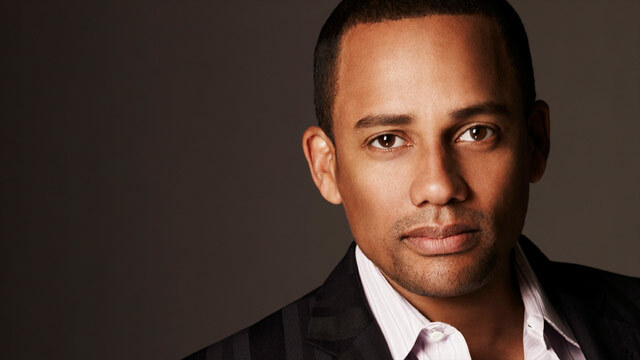 Harper says CNN Heroes inspire him to be better: "Change happens from the bottom up"
(CNN) -- Hill Harper, star of the CBS series "CSI: NY," founded the Manifest Your Destiny Foundation to empower young people through mentoring, scholarship and grant programs. Harper, who is also a best-selling author and a graduate of Harvard Law School and the Kennedy School of Government, served on the Blue Ribbon Panel that selected this year's Top 10 CNN Heroes. He recently spoke to CNN about the Heroes campaign and his philanthropy. Below are excerpts from that interview. CNN: Why did you decide to name your organization the Manifest Your Destiny Foundation? Hill Harper: Well, the name comes from the subtitle of my first book ["Letters to a Young Brother: Manifest Your Destiny"] and so what I wanted to do was take some of the profits from that and create this foundation. I started to find that a lot of our young people just don't have mentors. They don't have individuals to help them navigate their journey. "Manifest your destiny" means what it is: If you have a dream, if you have a goal, let's figure out how to get you there. The foundation started in 2005, and to date we've had 120 kids go through the program. But we've had nearly 2,000 kids be touched by the program, whether it's us going out and speaking to groups of kids and donating books or having them come to our toy drives and then getting some kind of lessons. CNN: One of your programs specifically targets teens between eighth and ninth grades. Why is that? Harper: I'm very proud of the Summer Empowerment Academy because, if you look at the data with the dropout rates, a lot of times you can predict who's not going to make it through high school. An eighth-grader, coming out with a 2.8 [grade-point average] or below, their chance of dropping out of high school -- if you're a male, particularly an African-American male -- is almost 80 percent. And so we want to catch these kids who are potentially falling through the cracks as they make this transition, to really bolster their foundation for getting through high school and getting on to college. It's free to all the students. Right now it's in Los Angeles alone, but we're looking to expand it nationally. CNN: Did you have any mentors who helped you succeed? Harper: My father, obviously, and my mother were inspirations. My uncle, Frank Harper, he was an absolute mentor for me. I had a professor in college, professor Martin Martell, he pushed me. He said I wasn't working hard enough even though I was doing well, and he said: "Well isn't good enough. We want you to excel. We want you to be excellent." So I had people who really pushed me, and most of us, we either rise or fall based on the expectations that are placed upon us. And I think there's too many of our young people out there where we're not expecting enough of them. We're expecting less. And even when we look in the mirror, oftentimes we're expecting less and less of ourselves. And so what's that about? So I really am in that camp of "let's go for it." Let's go big. Dream big, and then double your dreams, and you still haven't dreamed big enough. CNN: Turning to CNN Heroes, what was it like being on the Blue Ribbon Panel? Harper: I really enjoyed it. It was very humbling but at the same time inspiring, because everyone -- even the individuals that weren't ultimately chosen [for the Top 10] -- were very inspiring. It reinforces that there are so many out there doing good things for others that you'd never know about or hear about. That's why CNN Heroes is a very special and a much-needed thing. CNN: You've been to "CNN Heroes: An All-Star Tribute" before. How does it compare to other awards shows you've been to? Harper: I love it because you get into Hollywood awards season and oftentimes it feels like Hollywood is giving Hollywood awards. This is giving out awards to people who aren't connected in any way shape or form to Hollywood or anything like that -- there's no nepotism or old-boy or old-girl network. We are literally celebrating what's best and what's right, people who are serving others. I just really enjoyed being there. CNN: Why is it important to recognize everyday people changing the world? Harper: Because at the end of the day, that's the only way the world is going to change. Change happens from the bottom up -- all of us as individuals deciding that we will and we do have an impact. We've just come through voting season, and so many people think, "My vote doesn't matter." What if the people who are CNN Heroes felt that way: "I can't change the world." These people prove that no matter how much you have or don't have, you can have a positive impact and better the human condition and this world so we all win. Their image just reminds us of that and challenges me to be a better person. CNN: What is a hero to you? Harper: For me, it's someone who is living with courage. The root is 'cor' which means heart, and to me all of the CNN Heroes represent courage because they are living from the heart. And that's what they inspire me to do.